When your project transcends the ordinary, Exhibitology has the expertise to turn your dreams into reality. From initial conceptualization to final installation, we offer total project support. With a careful blend of old-fashioned artisanry and cutting-edge fabrication techniques, we can transform a multitude of raw materials into stunning interiors and landscapes. 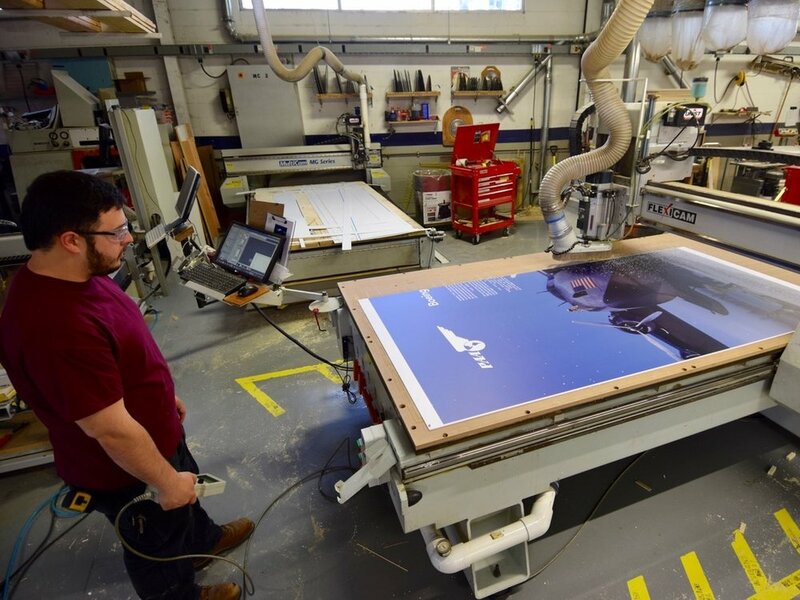 Our highly skilled craftsmen include multi-disciplined designers, graphic artists, model-makers, woodworkers, metalworkers, screen printers, finishers and project managers. We have fully integrated state-of-the-art CNC machinery and professional equipment into our fabrication process, ensuring precision and efficiency in all of our operations. In addition to custom fabrication, we offer a dedicated graphics team which works fluently with all modern multi-media software and graphic production services.